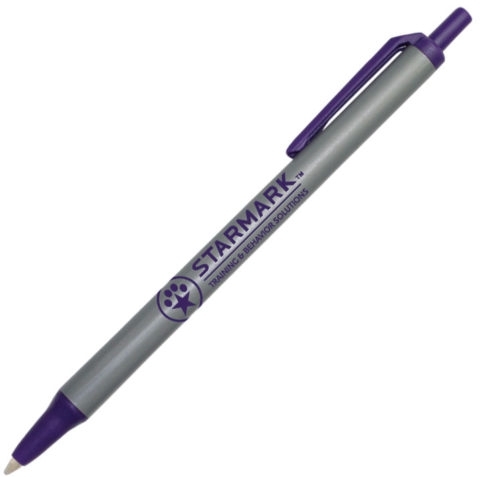 Custom imprinted Orlando Ballpoint Pen. 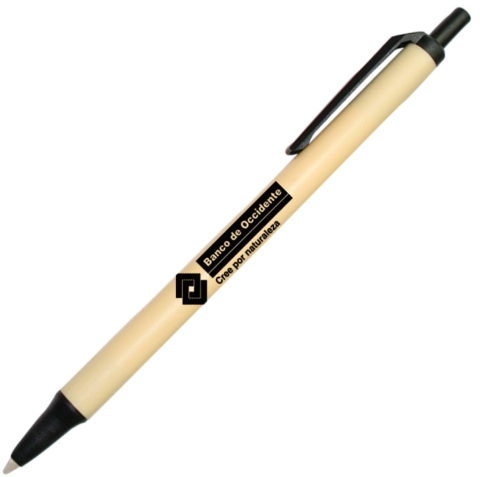 Inexpensive yet durable enough to use regularly. 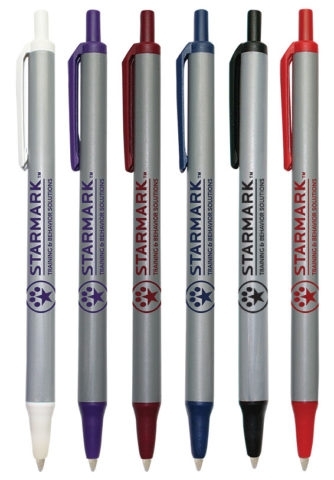 Click action mechanism is easy to use and its two-tone design makes for a great appearance. 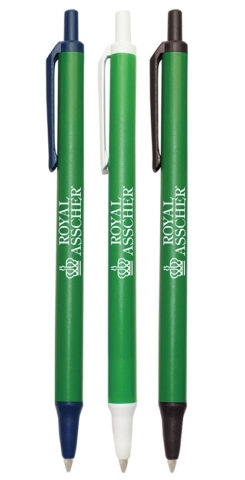 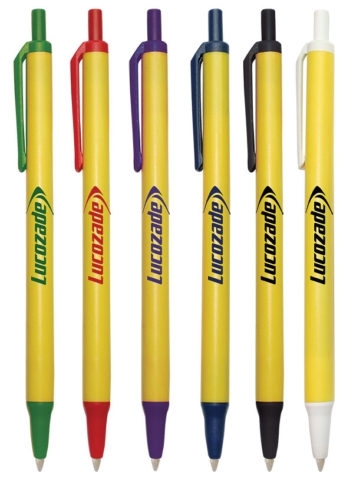 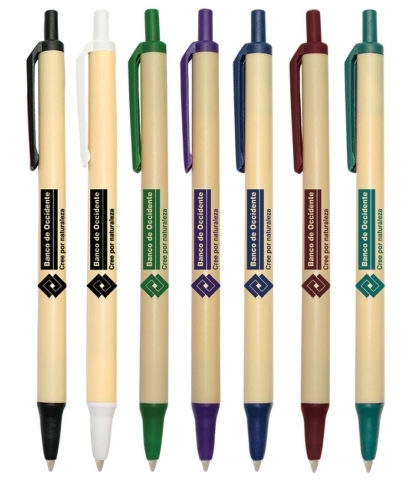 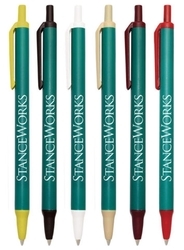 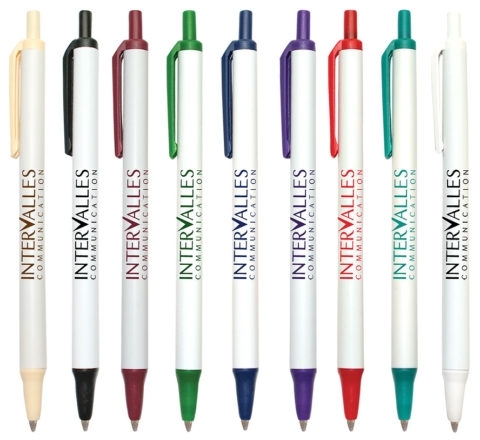 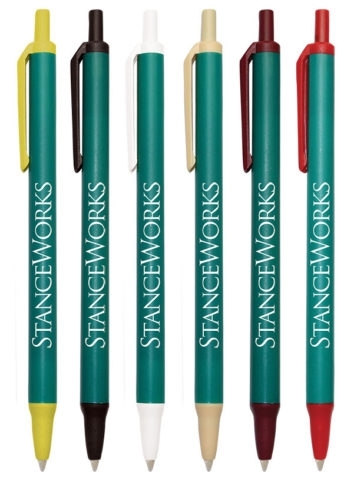 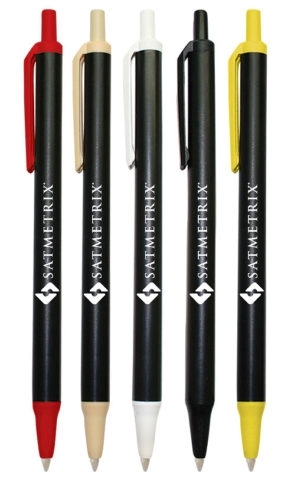 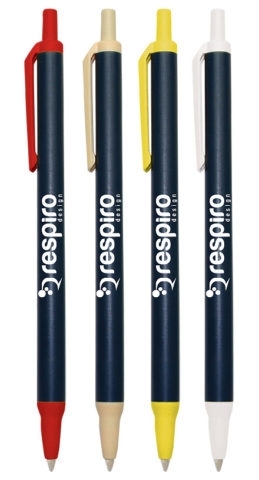 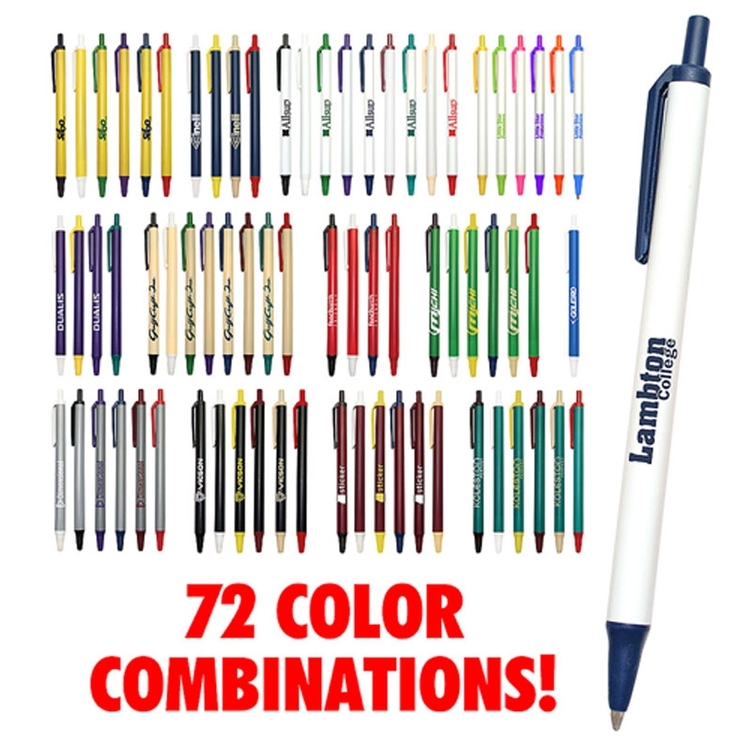 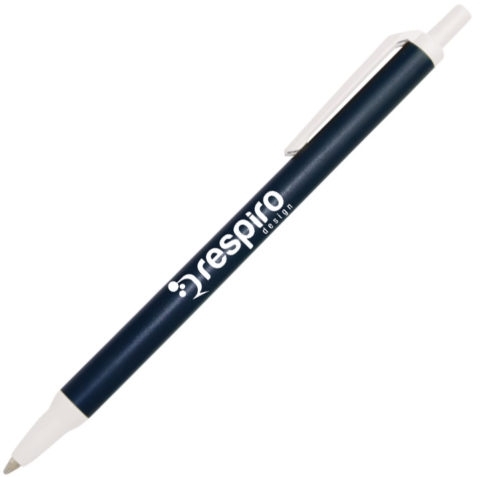 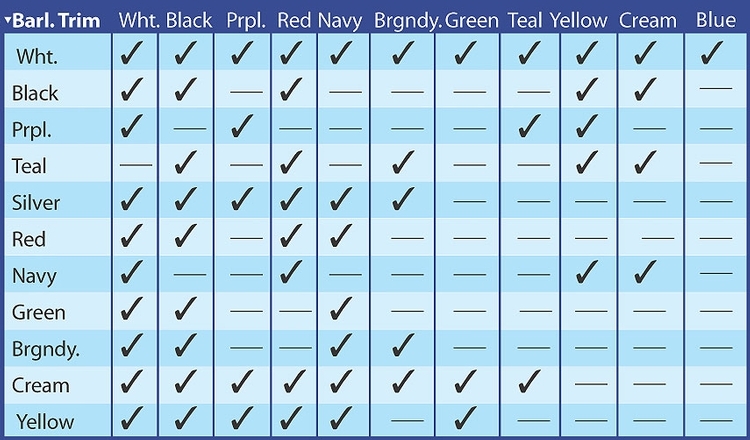 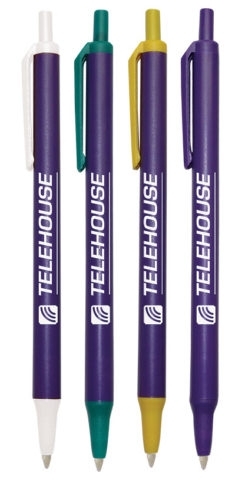 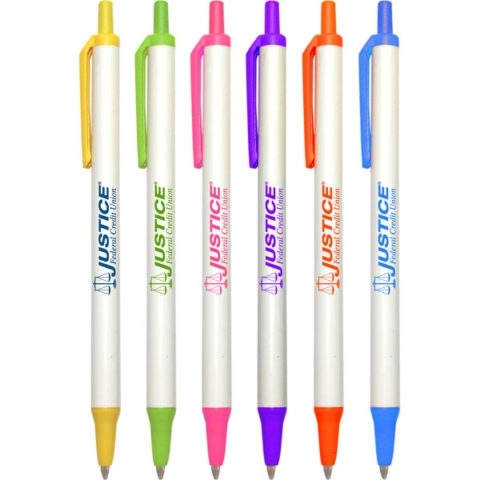 With more than 72 color combinations this pen is sure to match any company logo! Medium point black ink refill. 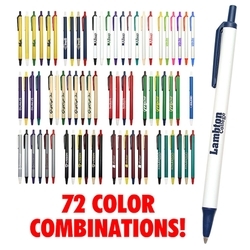 Price includes a one color Screen Print. Setup/Plate Charge Required.